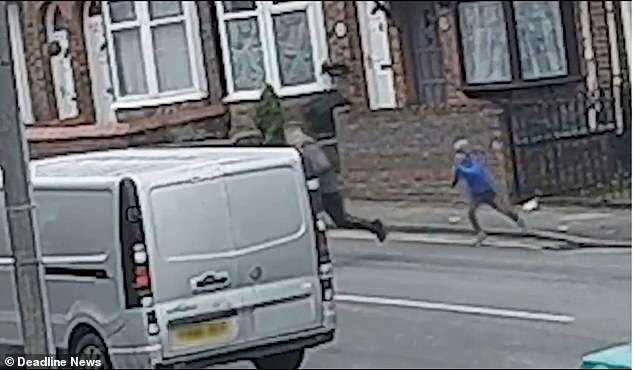 This is the heartbreaking moment a young boy is seen chasing after a brazen thief who stole his puppy while he was taking her for a walk. 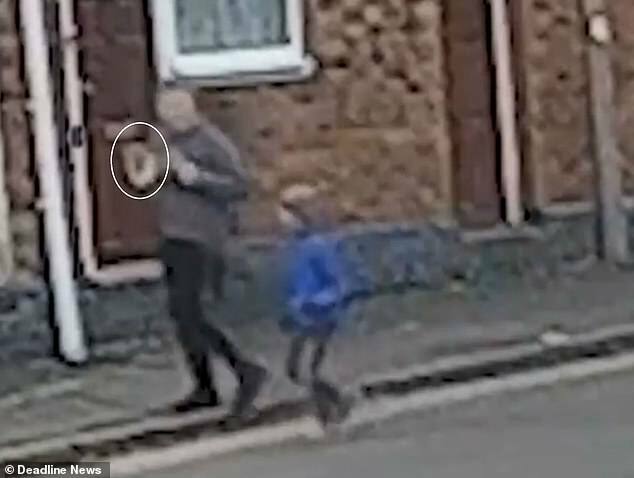 Footage shows the increasingly anxious youngster following an older boy who is carrying the pet in his arms. But when they come to a road crossing, the older boy is shown waiting for a car to pass before sprinting down a street away from the child. 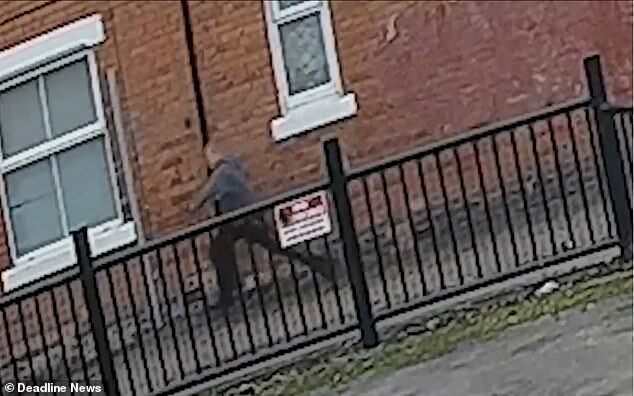 The distressing video was captured on CCTV overlooking Underwood Lane Social Club in Crewe, Cheshire, around midday last Friday. The dog has since been identified as a three-month-old Jack Russell called Mela and a Facebook page was set up to find her. The family has confirmed she has since been found safe and well. 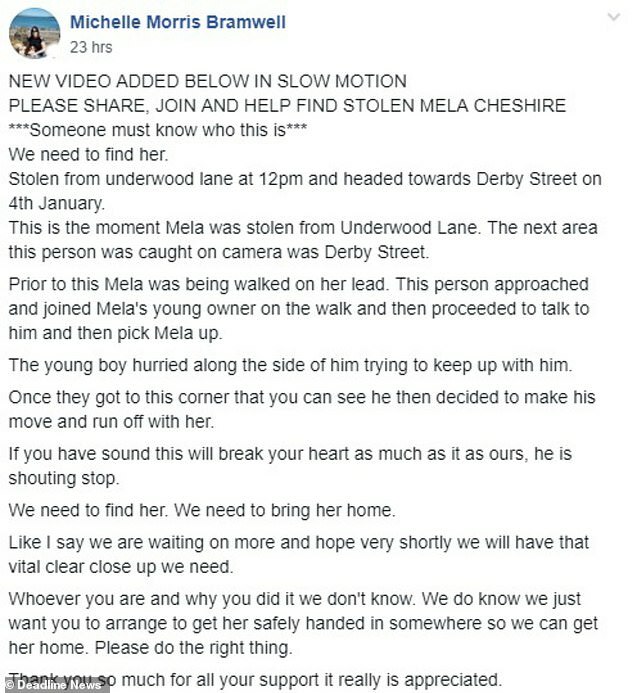 A statement on the group said: ‘This is the moment Mela was stolen from Underwood Lane. The next area this person was caught on camera was Derby Street. ‘Prior to this Mela was being walked on her lead. This person approached and joined Mela’s young owner on the walk and then proceeded to talk to him and then pick Mela up. ‘The young boy hurried along the side of him trying to keep up with him. ‘Once they got to this corner that you can see he then decided to make his move and run off with her. Identifying himself as the boy’s father, Aleksandra Pater wrote online: ‘The younger boy was my son and the dog was picked up without his permission. The video sparked an incredible response from people trying to help bring Mela back, as well as angry outbursts from people about the thief. 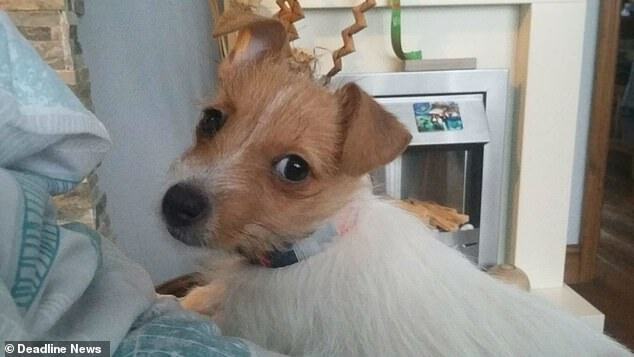 A Spokeswoman said: ‘Police are appealing for information following the theft of a Jack Russell Terrier puppy in Crewe. 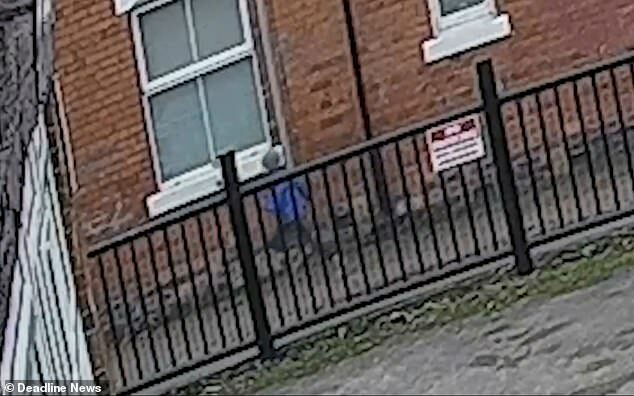 ‘At 1pm on Friday 4 January police were called to reports of a theft of a Jack Russell Terrier puppy on Badger Avenue in Crewe.